Vergara v. California: The court’s decision to gut teacher tenure will not improve poor schools. Teacher protections are not why poor schools are failing. Segregation is. Racial segregation continues to bedevil American society and schools. On Tuesday, a California court struck down state teacher tenure and seniority protections as a violation of the rights of poor and minority students to an equal education. The decision, which will make it easier to fire bad teachers, who are disproportionately found in high-poverty schools, is being hailed as a great triumph for civil rights. 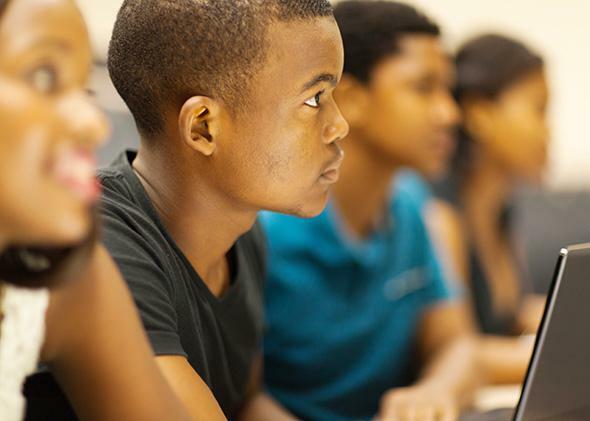 Bruce Reed, president of the Broad Foundation and a former Democratic staffer, suggested the ruling was “another big victory” for students of color, in the tradition of Brown v. Board of Education. But modifying teacher tenure rules is not the new Brown. The decision in Vergara v. California won’t do much to help poor kids and is a diversion from the real source of inequality identified in Brown itself: the segregation of our public schools. Racial segregation continues to bedevil American society and is closely coupled with rising income segregation. Concentrations of poverty have much more to do with why poor and minority students often end up with the worst teachers than do tenure laws. If the plaintiffs were genuinely concerned about connecting great teachers with poor and minority kids, they would go after that problem, not the due process rights of teachers. So why do high-poverty schools have a hard time attracting strong teachers? Because they often provide poor working conditions. When you pack poor kids into environments separate from more affluent students, the schools generally have high rates of discipline problems. Low-income students, who often don’t see much first-hand evidence of the payoff of education, act out more often on average than middle-class students. Low-income parents, who are stressed and may work several jobs, are not in a position to help teachers out by volunteering in class, as middle-class parents often do. And in high poverty schools, students often have inadequate health care and nutrition, which hinders their performance on academic tests. In such an environment, teachers can feel overwhelmed by the challenge of helping large numbers of students overcome the odds. Accountability measures, under which schools with low test scores can be closed, add to the pressure on teachers. As a result, strong educators in high-poverty schools who have options for being hired elsewhere often flee for middle-class schools at the first opportunity. The flight of top-notch faculty colleagues becomes another reason to leave. Younger teachers, seeking to perfect their craft, want to be mentored by outstanding colleagues and know that is more likely occur in middle-class schools. Efforts have been made to get around segregation by offering educators financial bribes to teach in high-poverty schools. But polling finds that teachers care more about working conditions than salary, which is why financial incentive programs fail with most teachers. A 2013 study of the federal Talent Transfer Initiative, which offered a $20,000 bonus to effective elementary school teachers who agreed to move to a low-achieving school within the same district, had few takers. Almost eight in 10 teachers didn’t even fill out an application. As Dana Goldstein explained in her Slate piece, this is because money isn’t the No. 1 priority to a teacher: a school’s “working climate” is. So how can policymakers connect poor kids and great teachers? The most obvious way is by creating mixed-income schools. Rather than a district automatically assigning children to schools that mirror neighborhood segregation, students should be given an opportunity to choose among a menu of school options, and districts should honor choices with an eye to promoting economic integration. In places like Raleigh, North Carolina, for example, policies promote socioeconomic school integration largely through magnet school programs that attract middle-class students to attend schools with urban students. As a result, there are high quality National Board Certified Teachers spread throughout the district. Likewise, in Cambridge, Massachusetts, families choose from a variety of public magnet schools, each with a distinctive feature, and the district seeks to balance the number of students in each school who are eligible for subsidized lunch. None of this is to say California’s teacher termination procedures shouldn’t be modified by the Legislature and by school districts. Tenure at the K-12 level was intended to give teachers due process rights before being fired, not a lifetime job guarantee. More districts should adopt “peer review” programs, in which excellent teachers work with struggling colleagues, but if improvement is not seen, a committee of teachers and administrators recommends termination. But the right-wing and some members of the left are cheering the Vergara decision as a step toward throwing tenure away entirely. That would be a huge mistake. As the late American Federation of Teachers president Albert Shanker observed, before teacher tenure protections were adopted in New York City in 1917, teachers could be fired in order to make room for a councilman’s cousin, or for a more junior teacher whose salary was lower. In the South, where teachers often lack tenure today, they think twice about writing a controversial blog post or showing up at a rally. Without tenure, will a teacher push for high standards when giving a bad grade to the son of an influential parent might shorten her career? Tenure is also an important way of attracting talent. Teacher union foe Terry Moe has found in polling that “most teachers see the security of tenure as being worth tens of thousands of dollars a year.” In his survey of teachers, a majority would have to be paid 50 percent more to give up tenure. Eliminating or significantly curtailing tenure rights could mean that school districts have to offer much more money to attract today’s level of teacher quality. Although the Vergara decision was applauded by some Democrats, such as California Congressman George Miller, the Broad Foundation’s Reed, and, most notably, Education Secretary Arne Duncan, the litigation is part of a pattern in education where Republicans exploit inequality to promote deeply conservative policies, chipping away at public schools. The right-wing has been using the sad reality that poor and minority kids are stuck in lousy segregated schools as an argument for private school vouchers. Now, in Vergara, inequality in access to good teachers is leveraged to promote an anti-union agenda. Rather than gutting hard-won protections for teachers, the next legal case should go after economic segregation itself. Instead of invoking Brown in a broad metaphorical sense, why not bring a state-level suit against actual segregation by class and race? If it is a violation of the California state constitution to have tenure laws that make it hard to fire bad teachers in poor and minority communities, why isn’t it a violation when the state and districts draw school boundary lines in a way that promotes deeply unequal, economically segregated schools that many strong educators won’t teach in? Years ago, Connecticut plaintiffs prevailed in a lawsuit, Sheff v. O’Neill, which challenged de facto economic and racial school segregation. As a result, thousands of poor kids have been given access to integrated magnet schools in the city of Hartford and to integrated suburban schools. Careful research comparing students who applied for a lottery to attend the integrated magnet schools found that those admitted later performed better on math and reading than those who lost the lottery and attended other urban schools. California needs a similar lawsuit. Such a case would underline a profound truth: The big problem in education is not that unions have won too many benefits and supports for teachers. It’s the disappearance of the American common school, which once educated rich and poor side by side.